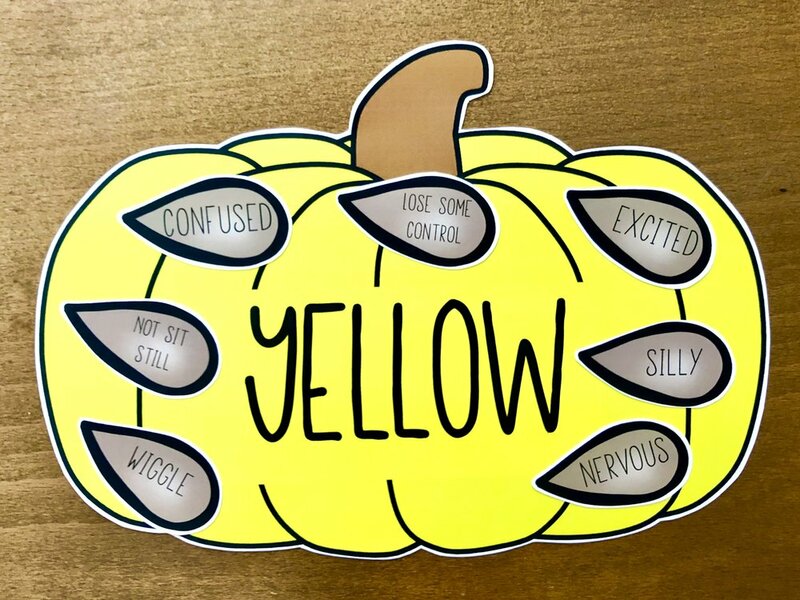 Fall is such a fun season and there are lots of ways you can incorporate it into your school counseling program. 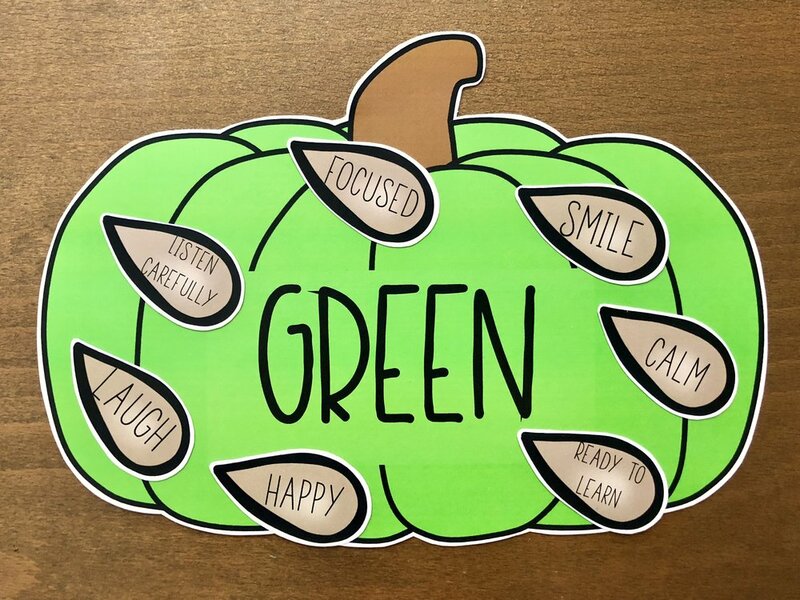 Bringing in some seasonal props to your school counseling office can help students get excited about coming in for a small group or individual session. These plastic Halloween candy buckets serve as the perfect prop for sorting activities. They are inexpensive and you can usually find them at the dollar store or Walmart. I found these on Amazon, or you can simply borrow your own kids’ buckets! Check out these 5 interactive activities to reinforce counseling concepts. Help students change their negative thoughts to positive thoughts by having them sort statements into 2 different buckets. First, have students pair an old negative thought to its new positive counterpart. Then have them drop the statements into the different buckets. For older elementary students, have them identify and write their own negative thoughts down. Write common scenarios and phrases on strips of paper and have students decide if the person is tattling or if they are reporting. Students sort them into 2 different buckets. Similar to the negative thoughts activity, have students sort growth mindset and fixed mindset statements into 2 different buckets. For older elementary students, have them identify and write their own fixed mindset beliefs down. Help students identify the size of the problem by sorting scenarios into different buckets. For this one you can use 5 buckets (tiny, small, medium, big, huge) or 3 buckets (small, medium, big). Example: Small Problem: You forgot today was dress up day at school. Medium Problem: Your best friend doesn’t want to play with you anymore. Big Problem: Your parents are getting a divorce. My size of the problem activity pack has a pumpkin seed sort game that would be perfect for sorting into the pumpkin buckets! Students can practice self-regulation by sorting feelings and behaviors into the buckets. For this one you need 4 buckets that are green, blue, yellow, and red. Example: Blue: I feel sad and cry. Green: I feel calm and ready to learn. Yellow: I feel nervous and am losing some control. Red: I feel angry and am kicking. 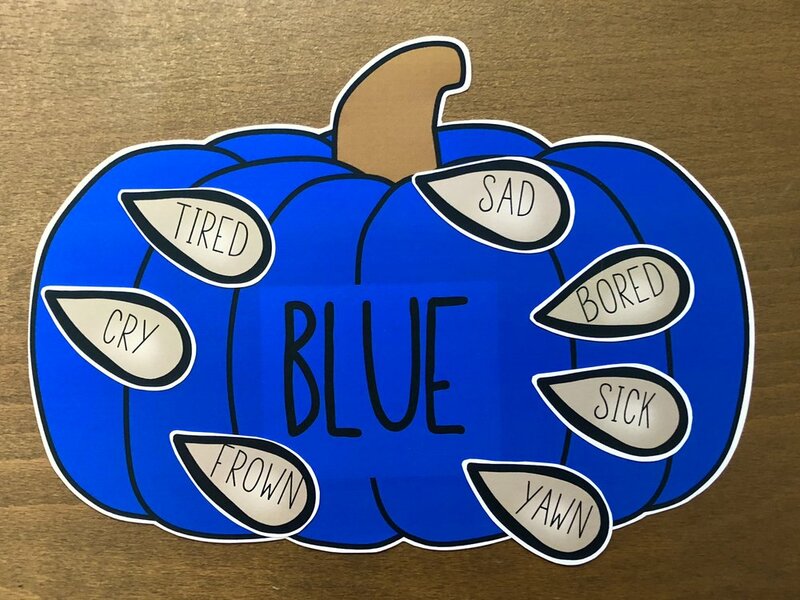 Check out my self-regulation pumpkin seed sort game here. Tip: Write the categories on tape which you can stick to the buckets. This way you can re-use them for all of the activities. Want more Fall and Halloween counseling ideas? Check out this bundle.